Many people do not seem to realize that the Musaajid are the Houses of Allah nor do they understand why it is not permissible to participate in ‘Masjid’ Open Days. Either they lack Islamic knowledge, or they fail to apply their minds. Another factor which makes it problematic for the unwary to understand why ‘Masjid Open-Days’ are haraam, are the corrupt and zig zag so-called ‘fatwas’ of the liberal and wayward so-called ‘Muftis’ and ‘Sheikhs’ who belong to the fraternity of the Ulama-e-Soo and who do not seem to have any truck with the Usools (Principles) of Ifta & Fiqh. Allowing non-Muslims into the Masaajid.When a paak Muslim may not enter the Masjid without Wudhu, then how can one allow naa-paak Kuffaar into the Masjid??? And it is not just an issue of allowing them into the Masaajid, but it is observed that deviates are actually inviting Kuffaar into the Masaajid!!! The Masjid is a place of Ibaadat – not a picnic spot nor a lounge for people to relax! When a Muslim in a state of impurity may not enter the Masaajid, then how can it be permissible for a Kaafir to enter the Masaajid who is spiritually and physically impure? In this manner the Masaajid are defiled and disrespected. It is stupid to claim that non-Muslims enter the Masaajid in a state of ‘Tahaarat’! Besides Tahaarat, the factor of Imaanis lacking for non-Muslims to visit the Masaajid! A Masjid is meant for Salaah – not for functions, braais, meetings, tours, fundays and conferences. Intermingling of the sexes. The men and women intermingle. According to all four Math-habs, intermingling of ghair-Mahram men and women is Haraam. Silly Attendance Register. Outside the Masaajid, an attendance form is filled in with one’s name and contact details. At Moghul Park Masjid in Kimberley, women were sitting in a tent and the men were filling in the attendance register alongside the young Muslim women! This is how sick and immoral the Masjid trustees and the Imaams of some Masaajid have become! The above Fatwa which is the official Fatwa of the Shariah is some good food for thought for the Samnet deviates and all the other morons and ignoramuses who baselessly claim that women may attend the Masaajid. Women looking at men and men looking at women. This is the stepping-stone to Zina. 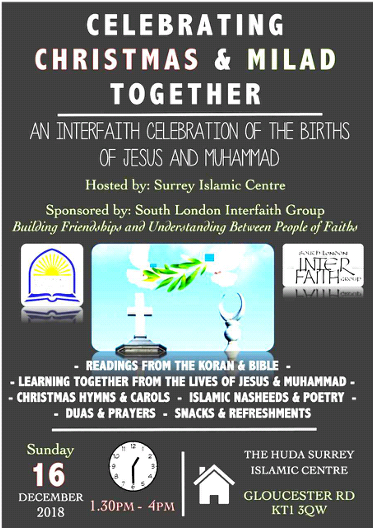 This Haraam takes place openly at these ‘Mosque Open Days’ hosted by the immoral Shayaateen. They lack Hayaa (modesty), hence they don’t mind if men – and even worse, non-Muslim men – look or stare at their wives, daughters, sisters and mothers and they likewise ogle at the women! And since non-Muslim women also participate in the immoral Open Day functions, their Nafs find enough pleasure in viewing the non-Muslim women! It is Fitnah upon Fitnah! The entire Hijaab system is violated. Indeed, these ‘Masjid Open Days’ are a mockery of the teachings of Islam. Men and women sit together in the Masaajid! Is this what Islam teaches? Do you think this is acceptable to Allah Ta’ala? Tashabbuh Bil Kuffaar. We have heard of certain companies having ‘Open Days’. Universities have ‘Open Days’. But never ever before was the scourge of ‘Masjid Open Days’ever prevalent. Every now and again, we hear of ‘Masjid Open Days’. The Masjid is treated worse than a church with these Shaitaani Open Days. Treating the Masjid like a Kaafir tourist attraction. Many people have forgotten that the Masjid is the House of Allah. It is not a Kaafir-type tourist venue. But the Masjid is treated like a tourist attraction by these deviates and Zindeeqs in the name of Shaitaani so-called ‘Dawah’. It is Haraam to use impermissible and un-Islamic methods when making Tableegh and Dawah. When a Muslim woman may not attend the Masaajid, then how can Kaafir women be invited to the Masaajid??? Where is the Aql (brains) of the so-called Sheikhs, Molvis, and ‘Muftis’ nowadays? It is worthless even speaking of the Masjid trustees, committee members and those in control of the Masaajid as 99.99% percent of them are DONKEYS! And the Imaams conduct themselves like Dumb Shayaateen and some even like Vocal Shayaateen! This statement of Nabi Sallallahu Alayhi Wasallam has materialized in our era. Most Masaajid are devoid of Hidaayat. Majority of the Imaams, trustees, Molvis, Sheikhs, etc. are all deviated. When they don’t have respect for the Masaajid, then what goodness and guidance can ever be expected from such Mudhilleen morons! ONLY STUPID PEOPLE, MORONS AND ZINDEEQS WILL SAY THAT IT IS PERMISSIBLE TO HAVE MASJID OPEN DAYS. ‘MASJID / MOSQUE OPEN DAYS’ ARE HARAAM!!! Modernists, Mudhilleen ulama-e-soo’ and other types of antiSunnah deviates such as the inter-faithers, monotonously proffer the story of the Christian delegation from Najraan which had met Rasulullah (Sallallahu alayhi wasallam) in Madinah. They stupidly argue their baatil opinions on the basis of the Najraani episode to justify kufr inter-faith dialogue and for permissibility for kuffaar wallowing in spiritual and physical janaabat to make merry in the Musaajid. The following brief account of the episode of the delegation from Najraan will dispel the stupidities of the deviant entities who are all bootlickers of the West – of the Yahood and Nasaaraa. When the delegation reached Madinah Munawwarah, its members removed their dustridden travel dress and donned their gaudily adorned garments and golden rings. According to their proudful style, their long cloaks dragged on the ground as they walked. Exhibiting some pomp and show they came to Rasulullah (Sallallahu alayhi wasallam) and greeted him. Our Nabi (Sallallahu alayhi wasallam) did not respond to their greeting. He did not exchange niceties nor display any vestige of bootlicking. This was forthright Amr Bil Ma’roof Nahy anil Munkar to even the kuffaar. Dress of the type which even Muslims today wear in emulation of kuffaar fashions are ‘adornments of Iblees’. Rasulullah (Sallallahu alayhi wasallam) did not resort to the type of nafsaani ‘hikmat’ which the ‘dumb shaitaan’ molvis of today advocate. This was the Tableegh and Da’wat of Rasulullah (Sallallahu alayhi wasallam) and of the Khulafa-e-Raashideen. It was this type of Tableegh which had smashed the Roman and Persian empires, and which saw their lands being annexed to the Islamic Empire. But only those who are imbued with high degrees of Taqwa are able to act in accordance with this Sunnah method of Tabligh. There is not the slightest semblance of inter-faith dialogue in Rasulullah’s engagement with the Najraani Christians. The Message of Islam was put forth without the slightest ambiguity and it was said with clarity that their religion of kufr was false, and that there is only one Deen of Truth, namely, Islam. This was the challenge which Allah Ta’ala commanded Rasulullah (Sallallahu alayhi wasallam) to issue to the Najraani Christians. The delegation had asked Rasulullah (Sallallahu alayhi wasallam) why he was speaking ill of ‘their person’………………. Upon this Allah Ta’ala revealed the aforementioned Aayat of Mubaahalah. However, the Christians were scared, hence refused to take up the challenge. There was no inter-faith dialogue. They had to take up the challenge or admit defeat and the falsehood of their religion. Far, very far from any bootlicking and listening to any sermon of kufr from the Najraani delegation, Rasulullah (Sallallahu alayhi wasallam) imposed on them an annual Jizyah tax of 2,000 suits of garments to be handed over each year in the month of Rajab. Thereafter, Nabi-e-Kareem (Sallallahu alayhi wasallam) told them that if they had engaged him in the Mubaahalah to in voke the La’nat of Allah Azza Wa Jal, the entire Christian population of Najraan would have been destroyed. All of them would have been transformed into apes and swines, and the entire region would have been consumed by a raging fire, and even birds would not perch on the trees of Najraan. This then is the story of the Najraani delegation which the followers of Iblees and all other munaafiq bootlickers and modernists cite to justify kuffaar presence in the Musaajid and their kufr inter-faith dialogue. Is there any semblance of bootlicking by Rasulullah (Sallallahu alayhi wasallam) in this episode? Did Rasulullah (Sallallahu alayhi wasallam) obfuscate the Haqq and allow the Christians to insult the Qur’aan and Islam, and to din the ears of Muslims with such kufr and blasphemy which insult the Deen, the Qur’aan and the Nabi? Did Rasulullah (Sallallahu alayhi wasallam) invite the Najraanis to propagate their kufr and shirk in the Musjid? But all of this evil kufr is accepted by bootlicking, munaafiq sheikhs and molvis. By putridly and stupidly mentioning the Najraani delegation, the mudhilleen molvis and modernists hoodwink the ignorant masses into the satanic understanding that the Najraani delegation was in a dominant position and had dictated to Rasulullah (Sallallahu alayhi wasallam) and the Muslimeen. In addition to there being not the slightest vestige of bootlicking, Rasulullah (Sallallahu alayhi wasallam) acquitted himself with belligerency. He refused to greet them. He refused to speak to them the entire day when they arrived. They were constrained to disrobe and don their old, dirty travel garments. They were issued the Mubaahalah challenge with the consequences of being transformed into apes and pigs, and finally an annual tax was imposed on them under threat of War. The UK has become the breeding ground for Irtidaad. The shaitaani interfaith movement has eliminated the Imaan of numerous ‘Muslims’. Just view the brazen KUFR with which so-called ‘Muslims’ have aligned themselves with. See overleaf. The so-called Huda Surrey ‘Islamic’ Centre has taken a lead in the shaitaani plot of blatantly propagating flagrant KUFR. Every true Muslim, even if he happens to be a faasiq and a faajir will recoil with horror at the type of KUFR being presented as ‘islamic’. There is no need for presenting any academic argument for understanding the satanism and villainy of the shaitaani celebration which the Agents of Iblees are organizing. Indeed, Qiyaamah cannot be in the too distant future. Rasulullah (Sallallahu alayhi wasallam) had predicted that the cross will be worshipped even inside the Musaajid, and the Musaajid will become filled with kuffaar masquerading as ‘Muslims’, and they will be performing ‘salaat’. Recently another mudhil, Mumtazul Baatil (going by the name, Mumtazul Haq), had initiated cross-worship in the Musjid where he happens to be the imaam. Even the trustees of the Musjid and molvis condoned his haraam, baatil act of shaitaani kufr. This type of shaitaani kufr and irtidaad activities will be on the increase as we move closer to Qiyaamah. May Allah Ta’ala save our Imaan.